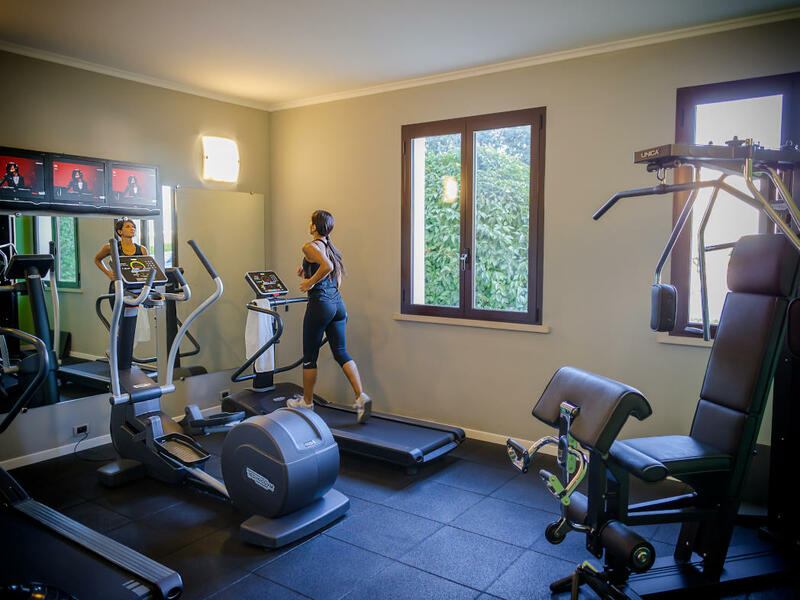 Guests of UNAWAY Hotel Occhiobello can train with brand new machines by Technogym, like treadmills, exercise bikes, elliptical trainers, multi gyms, all with natural daylight. 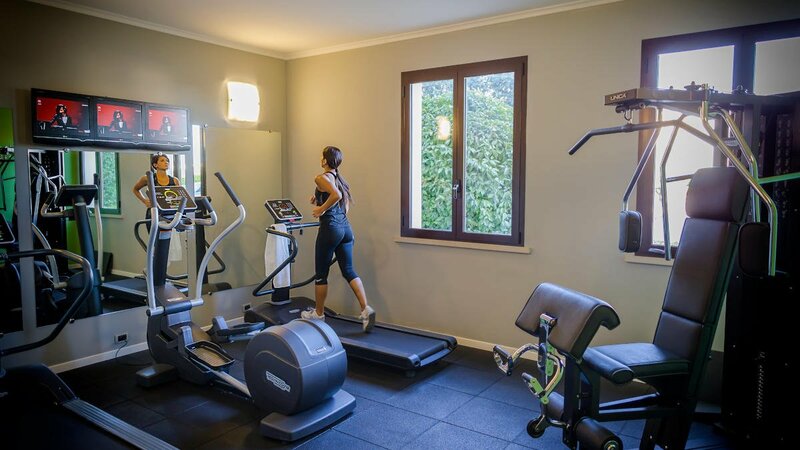 The fitness room is complimentary. 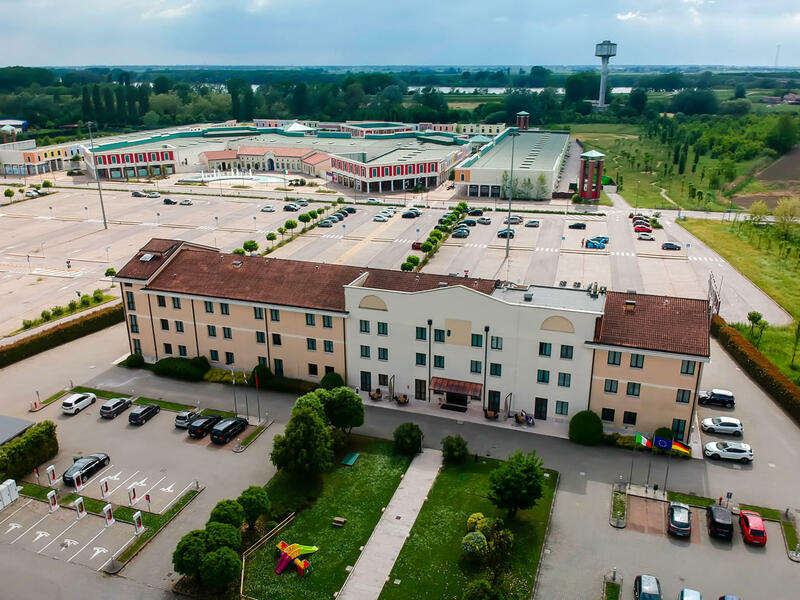 The hotel, located 200 meters only from the A13 motorway Occhiobello exit, and 7 km from Ferrara city center, is clearly visible from the motorway. 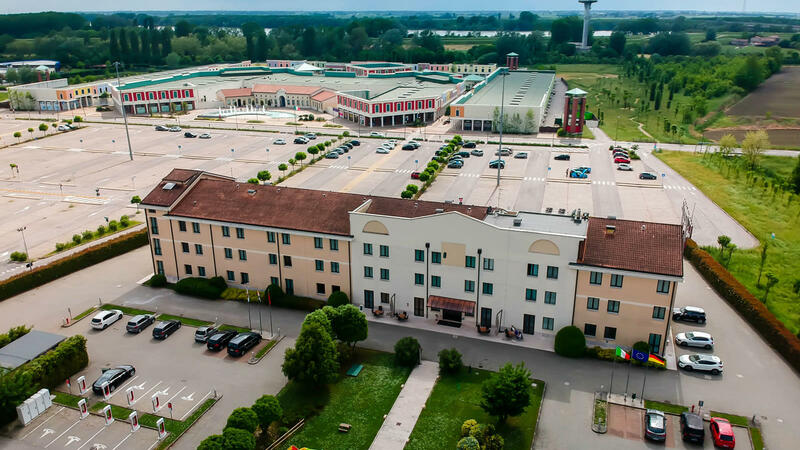 The hotel, built in an area of 15.000 sqm. 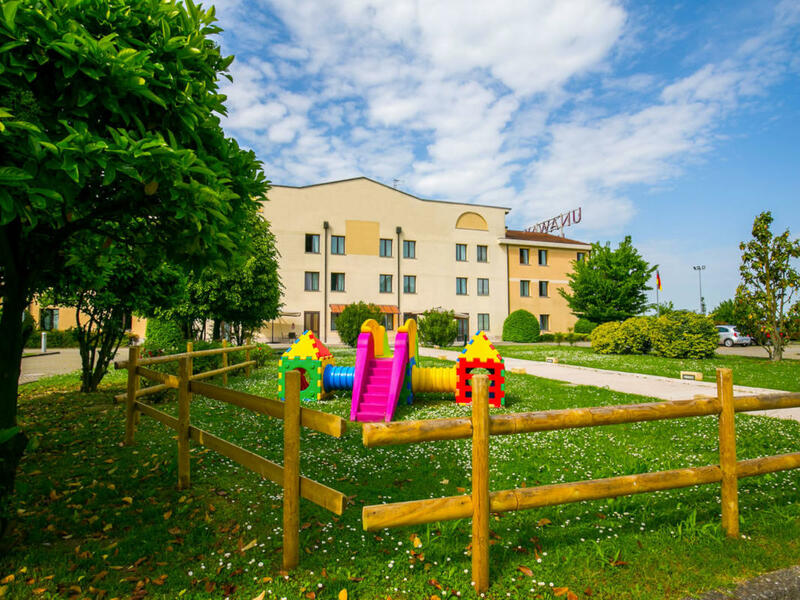 features a large parking free of charge suitable for more than 300 vehicles including cars and buses, including a children playground. 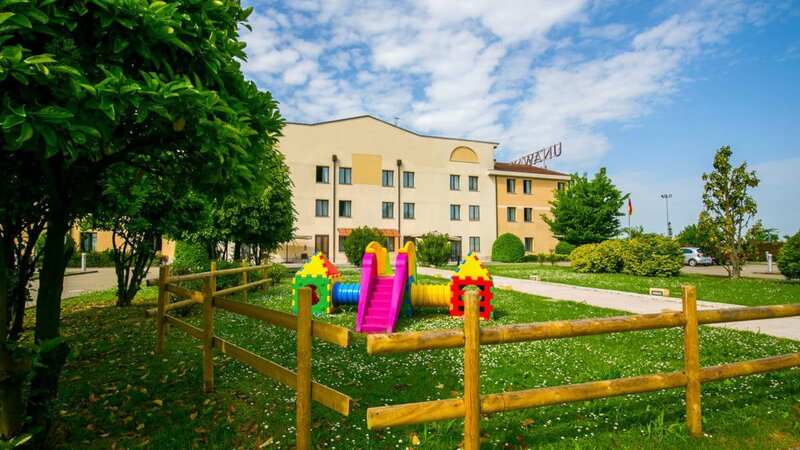 UNAWAY Hotel Occhiobello is proud to have the only Tesla Supercharger station within the whole Ferrara Area.  Guests of UNAWAY Hotel Occhiobello will have the opportunity to use freely the 8 Tesla Supercharger stations and be ready for their departurewith their cars fully recharged.  Tesla owners benefit also from special discounts.